Dear friends, these are some of the questions asked at IB Acio II interview/personality test. These are based on memory of the candidates who faced interview. We are giving here for your information. * After doing MBA you did't get any job? * Why you left the job? Tell me something about your company where you worked. * What will happen if you do get selected in IB? What you will do? * What is Gorkhaland issue? Latest development? * Have you seen DAM999 movie? What is the issue? * What is your hobby? * Do you believe in Destiny? * What are you doing at present? * If you get selected in IPS then what will you do with your IB job? Source: Career Quest Institute, Delhi. Ph: 09990840999, 09811299811. 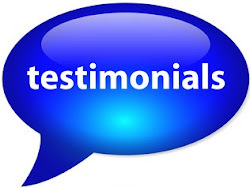 "I Joined the institute amidst a lot of turbulence in my mind about the IB organisation and my readiness and preparation level to face the interview. Being an IAS aspirant since long, I had lost the formal touch required in the personality to carry to the boardroom and of course I didn't want to end my maiden interview call in mess. After talking to Sanjeev Sir at Career Quest, I felt relaxed and the path to attain my goal seemed more and more clear as I channeled through mock interview sessions. Not only did I learn about right body language, but I also got mentored for the correct frame of mind too. I learnt through experiences of my fellow batch-mates and I could sail smoothly in the real interview. Since I was already familiar with the questions and there were few surprises to handle. I again thank heartily Sanjeev Sir for his valuable guidance and support." 35+ final selections in ACIO-II examination at Career Quest! Admission open now! Contact: Phone: 09811299811, 09990840999. Dr. Mukherjee Nagar, Delhi - 110009. Phone: 09811299811, 09990840999.